Cobh Museum "is situated overlooking Cork Harbour. Formerly known as Queenstown, Cobh has a long association with emigration and was the last port of call for the Titanic. The exhibitions reflect the cultural, social and maritime history of Cobh and the Great Island." "Irish culture is rich in its diversity. In this section of Irelandseye.com we give you a series of articles on many aspects of this culture. From the many great Irish dishes including Boxty and Champ. 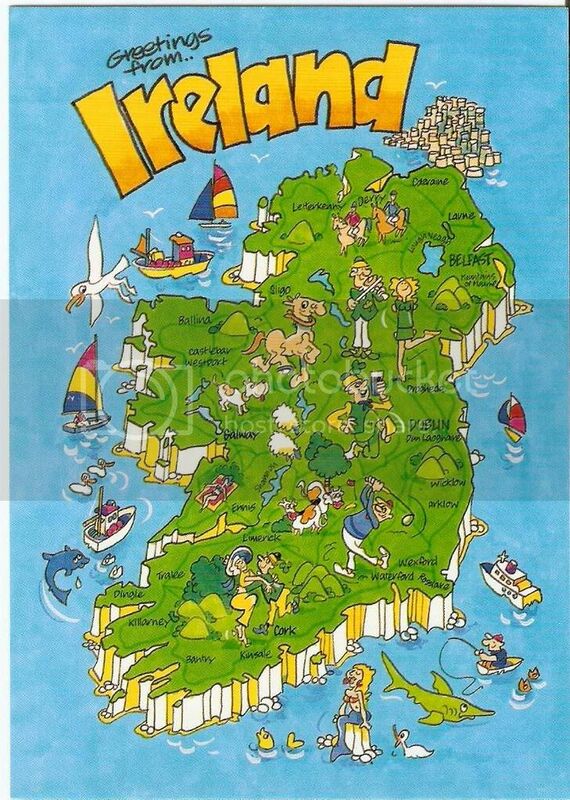 We also bring you a complete section on Irish names including family names, first names and place names. Irish culture also extends to the Irish language and amazing stories of Irish myth and legend..."
It "can be described as a mixture of soccer and rugby..."
It "is a game similar to hockey, in that it is played with a small ball and a curved wooden stick..."
"It's actually a mad kind of aerial hockey invented to make the English feel embarrassed about tiggy-touchwood soccer..."
Ireland - "Marion talks about her home country." Have you ever heard Irish music ? "This ebook is an electronic talking book about Ireland created by Mr. Aherne's 6th class. Hear about Irish history, Irish geography, Irish government, Irish language (Gaelic), Ireland's flag, Ireland's currency, and Irish symbols." "Watch the slideshow (with videos) and play the game. All the answers are in the show. Good Luck!" ( http://www.quia.com/hm/725687.html?AP_rand=938603343 ) et j'ai préparé le worksheet." Limerick - "Listen to Clive Hawkins, then play the game." les élèves devant interroger leurs camarades : Have you ever + PP ? - activité créée par Estelle Piron pour des élèves de 4ème, en parallèle avec une séquence du manuel SPRING. ”Molly Malone” is a popular song which has acquired the status of an Irish anthem. It has become one of the unofficial anthems of Dublin City. It tells the tale of a beautiful fishmonger who plied her trade on the streets of Dublin, but died young, of a fever." 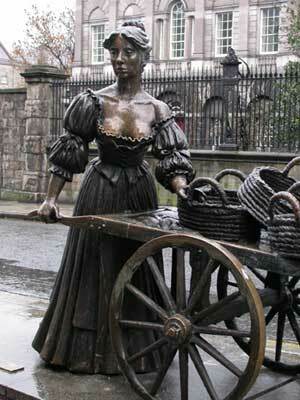 Molly Malone "(also known as "Cockles and Mussels") is a popular song which has acquired the status of an Irish anthem." The Foreigner's Guide to Irish Accents - "A quick guide to some of the wonderfully weird accents in Ireland."